So, it’s been a few days since my last post because I’ve been so busy in Hope Town this past weekend and trying to catch up. Then Tuesday and Wednesday this week were taken up doing the whirlwind real estate tour with a wonderful couple who are looking to buy a home here. Hope Town is a beautiful, quaint little settlement in Abaco and one of my personal favourites. 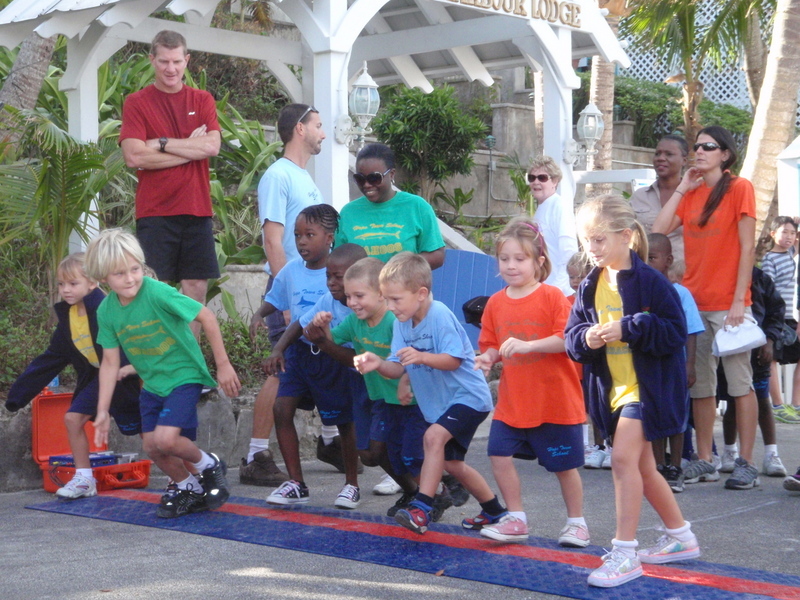 Starting on Thursday of last week, The Hope Town Harbour Lodge and Friends of the Environment hosted their first annual Turtle Trot. The Turtle Trot is a 5k fun run/walk open to any and all. They had an amazing turnout. The Hope Town Harbour Lodge held their annual Art Show on Friday. Saturday brought about the exciting Annual Box Cart Derby at Big Hill in Hope Town. Tons of family fun and always so well organized. This year HG Christie’s sponsored cart placed 3rd. It is always a blast with many vendors of food and beverages. It is one of the most enjoyable fund raisers in the Abacos. Then on Sunday, I participated in the annual Homer Lowe Sunfish Regatta held just outside of Hope Town, in ‘Nathan’s Bay’. We had a great turn out. The 22nd Annual Homer Lowe Memorial Regatta was at risk of not happening for the first time in 22 years. Due to the fast ferry canceling, a busy regatta schedule, hurricane Sandy, and other factors, the regatta was delayed and delayed. We finally found an opening in the schedule and set the regatta date for November 25. Nathan’s Bay beach was the venue and turned out to be a very nice gathering spot. Dave and Lenore Muloch from Little Harbour, along with Steve, came all the way in “Mr. G” to take care of the race committee responsibilities. The early wind forecast was 10-15. We got 2-7, with subtle shifts. The sunfish in race 1 began with Dwayne Wallas leading the first lap, to be passed by Jim Kaighin, who was then passed by a nose at the finish line by Andrew Wilhoyte. Race 2 had Dwayne and Andrew fighting for the lead, but Andrew had the lead when it counted, at the finish. Jim Kaighin got off to a good start in Race 3 and caught the first shift and lead from start to finish by a big margin. Things were looking interesting when Andrew rounded the first windward mark in 5th. But Andrew made his way back to 2nd, winning the Homer Lowe for the first time, with scores of 1,1,2. In the Opti fleet, it was a battle between Joey Gale and Brandon Sands. It was fun to watch these to young sailors in tacking duels and covering each other. They never seemed to be more than a few yards apart around the race course. Joey Gale won the regatta with 2 first and a second, Brandon Sands had 2 seconds and a first. We were very fortunate to have Denis Beauchesne sailing with us who has a house right on Nathan’s Bay. He and his wife Veronica were very generous and allowed us to use their grill and hold the trophy presentation on their back deck. Thanks to Robert Key for cooking those good burgers and hotdogs. Thanks to Dave and Lenore Mulock once again. I owe you big-time. Thank you to Dave Pahl for setting the course. Thanks to Matt McCoy and the Hope Town sailing Club for making arrangements in Hope Town. Complete results below. The 23rd Annual Homer Lowe Memorial Regatta hopes to be back in Marsh Harbour in April or May 2013. For such a small group of communities, (especially Hope Town) it is surprising that there is always a constant hub-bub of activity going on, it near impossible to get bored over here. From now until next August I will have to really push to find a free day to take care of the house, or yard of boats. All in all, it was a full and fabulous weekend but I really needed Monday to get back into the swing of things. Can’t wait for next year ;).